Visit the referral page here. Fill out your details along with those of the friend(s) you’d like to refer. Ensure you have their permission first! They’ll be contacted by email with a unique referral sign-up link. Eligible referrers will receive a cheque payment of £50 for each new person they refer to RIFT who within the qualifying period files a tax refund claim. Ensure your friend has your personal details and your permission to use them. Sign up for RIFT using the unique sign-up referral code you receive via email. File your tax refund claim to unlock the £50 bonus. 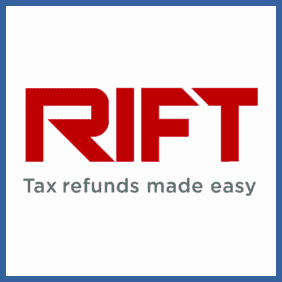 Tax return and refunds specialist RIFT offer £50 as a bonus to anybody who signs up a friend to their services. Sign up 5 friends and you’ll get an additional £150 on top of that so long as all 5 each file a tax refund claim.